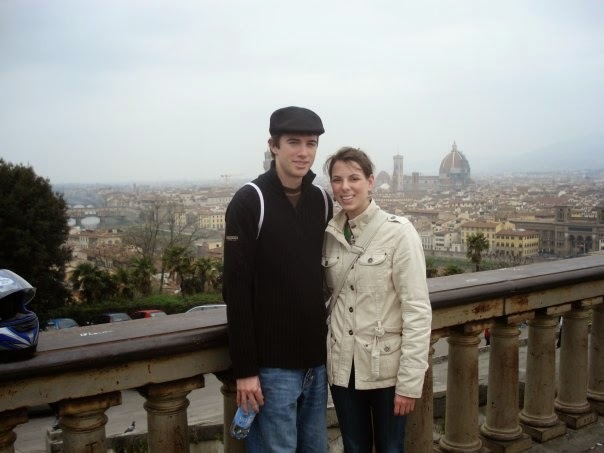 In 2006, Matt used his wiles and manly charms to convince me to study abroad. Our school had a really fair, amazing program that allowed students to go abroad for a semester for the same price as normal tuition. Exchange rate notwithstanding, costs of school would be comparable, and it was an opportunity you'd have to be stupid to turn down. We chose Edinburgh, Scotland for a number of reasons, but mostly because it offered classes that would count as regular credits for our majors. We spent winter break that year getting ready, and in January of 2007, we were off. 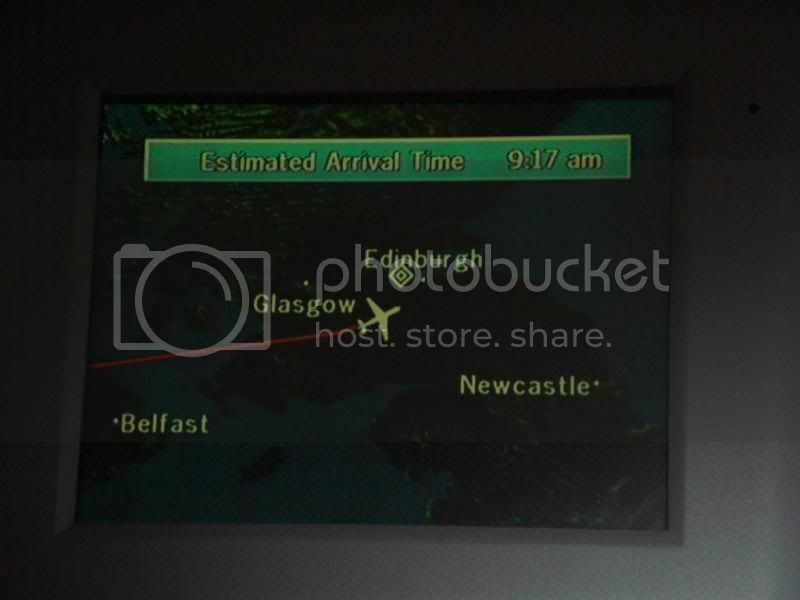 A photo I took of the monitor in the back of the seat in front me during that 14 hour flight. 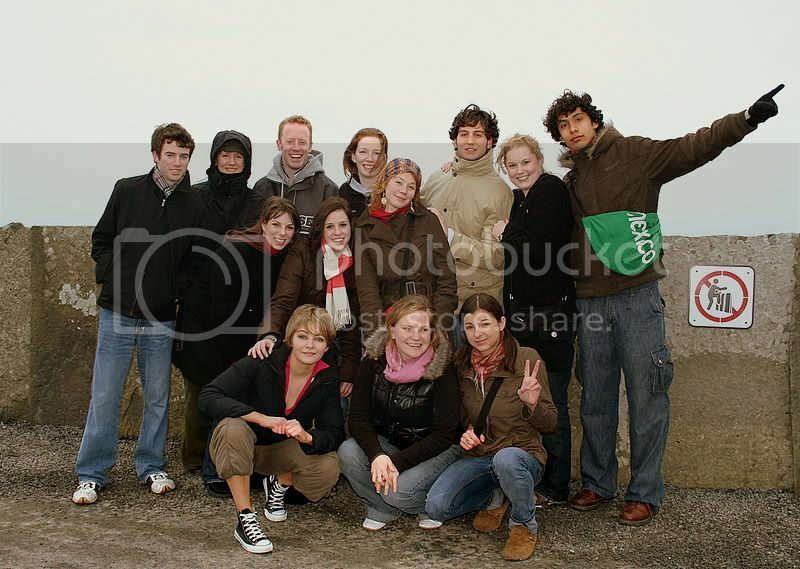 There were six of us from Stetson going to the University of Edinburgh that winter, and we all traveled together. 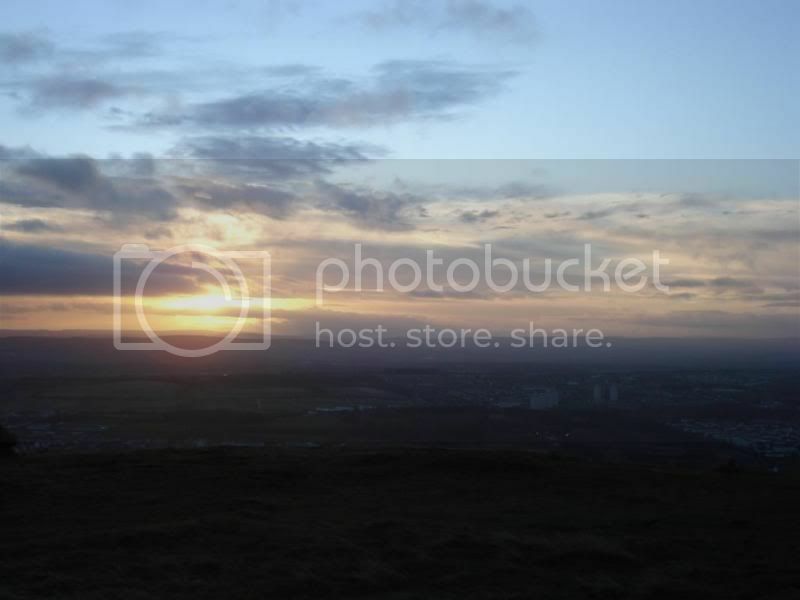 The first day there was one of the girl's birthdays, so we immediately got up super early to climb Arthur's Seat, a 900-foot "mountain" in the heart of Edinburgh. This was our first experience of Scotland, we were immediately in love. We climbed it in order to see sunrise when we reached the top. We spent about six months there, and I'm not sure I could put it all into words. At least, not this many years since. But luckily, I did keep a blog during the adventure, so I can look back and relive it. 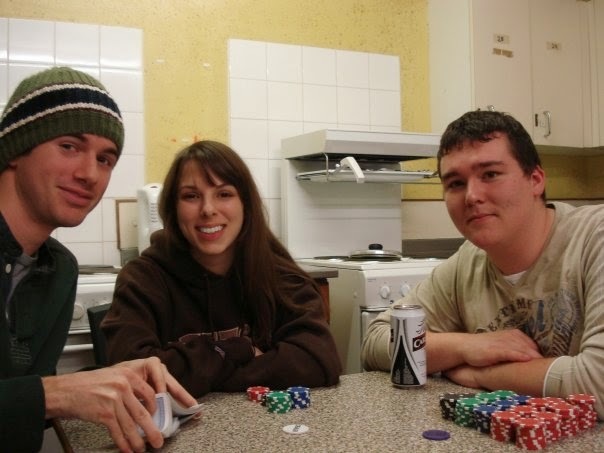 ...Spent hours playing poker and goofing off in the dorm kitchen with our new friends. Matt, me, and John at about 3am one random night. 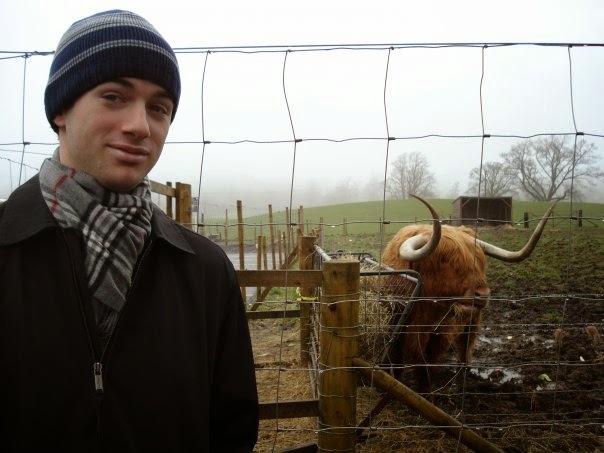 Matt and his friend, the Scottish "coo". 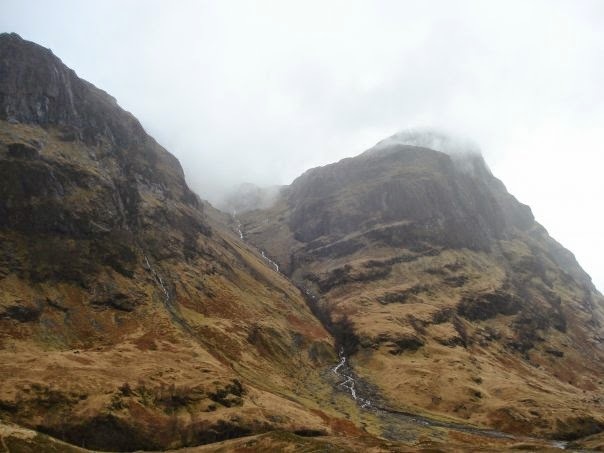 One of many mountains in the Highlands, near Glencoe. 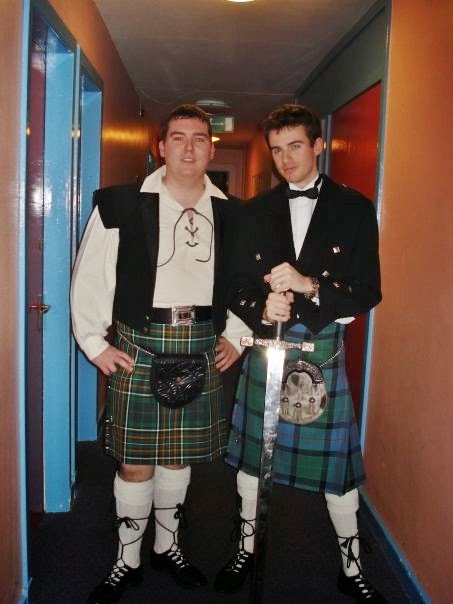 ...Went to a traditional ceilidh on my birthday. 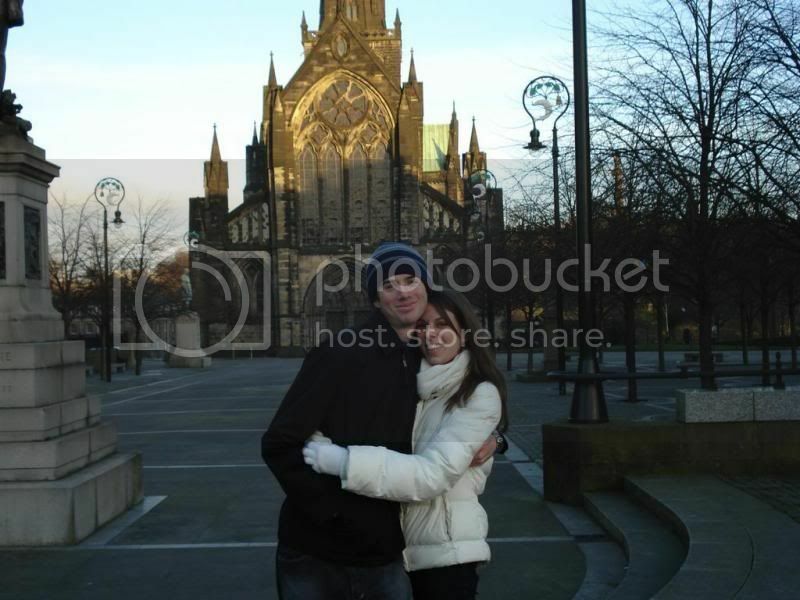 Outside St. Mungo's (among other names...including the High Kirk of Glasgow or, simply, Glasgow Cathedral). The view from Piazzale Michelangelo in Florence, Italy. 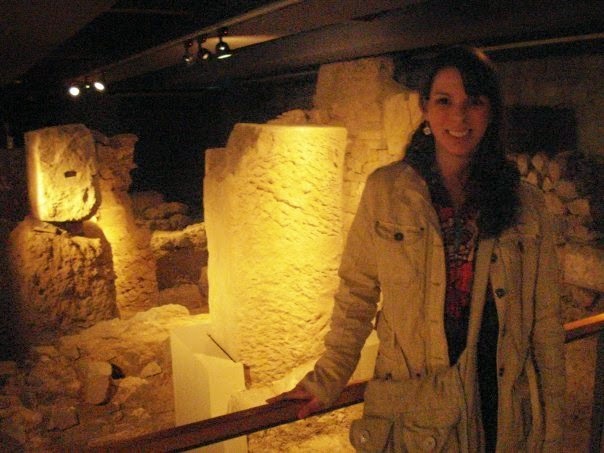 I may or may not have taken this photo illegally in the Roman ruins beneath the streets of Barcelona. 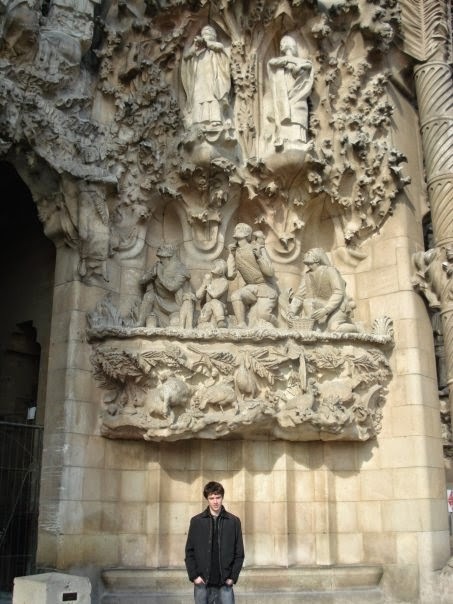 Matt outside La Segrada Familia. This church is freaking impossible to describe. Stonehenge was more moving and awe-inspiring than I expected. We also went to Bath, which was pretty awesome, too. Buckingham Palace...I'd been to London before, but Matt never had, so we made a special weekend trip. 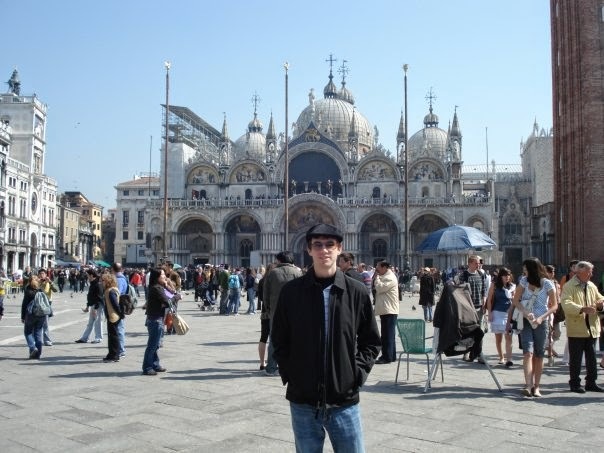 St. Mark's Basilica in Venice. 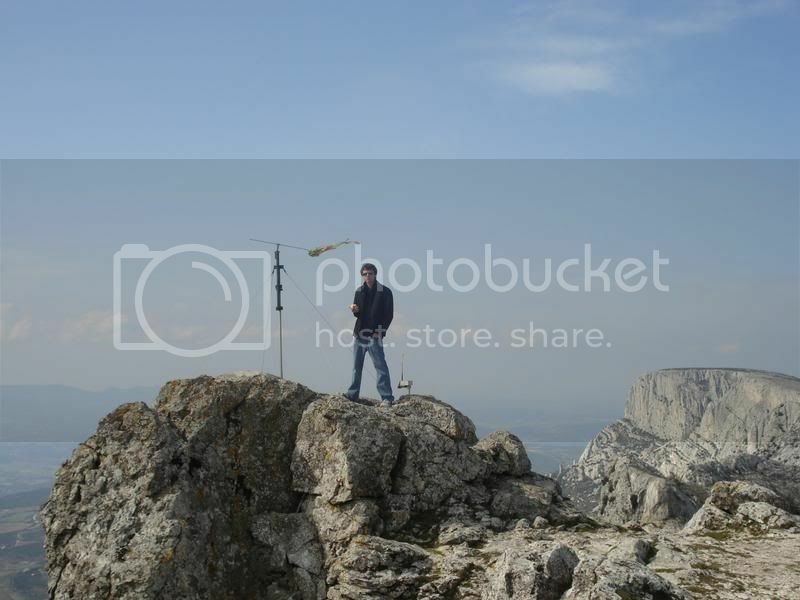 Matt at the peak of Mt. St. Victoire in Aix en Provence, France. 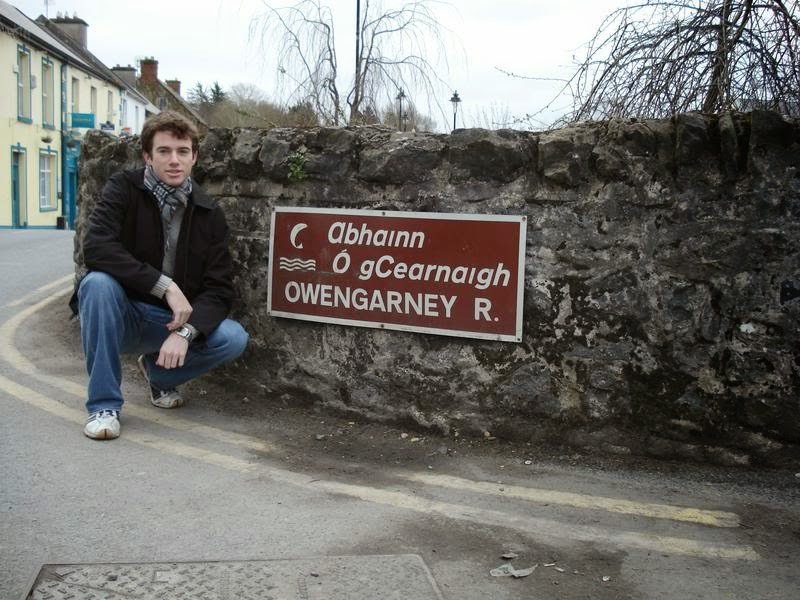 ...Spent St. Patrick's Day in Ireland. One of our dormmates was from Ireland, and we took advantage of his hospitality and spent St. Patty's weekend with his family and friends. The morning after St. Patrick's Day night, we climbed Mt. 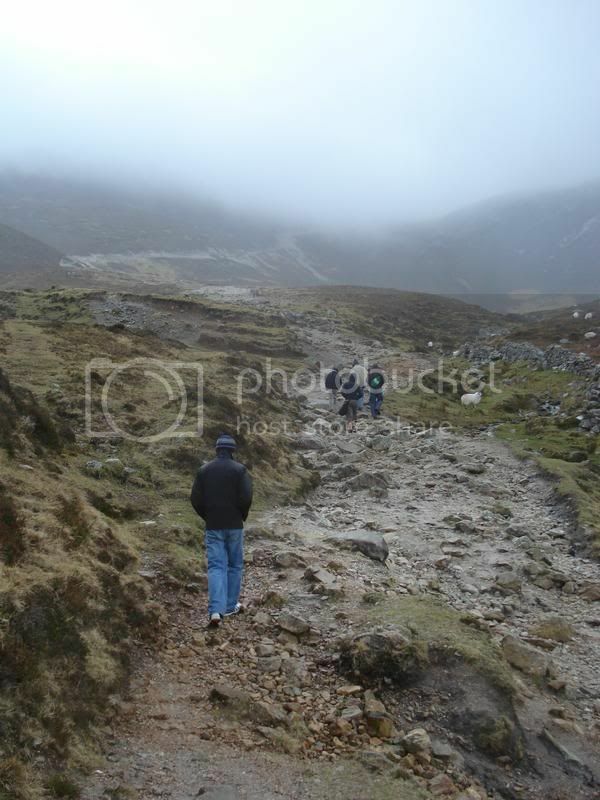 Croagh Patrick in rainy, windy conditions. The photos don't do it justice; it's a really important (and huge) mountain in County Mayo, where we stayed. Matt discovered what may be the origins of his family name. I truly felt I found myself in Scotland. 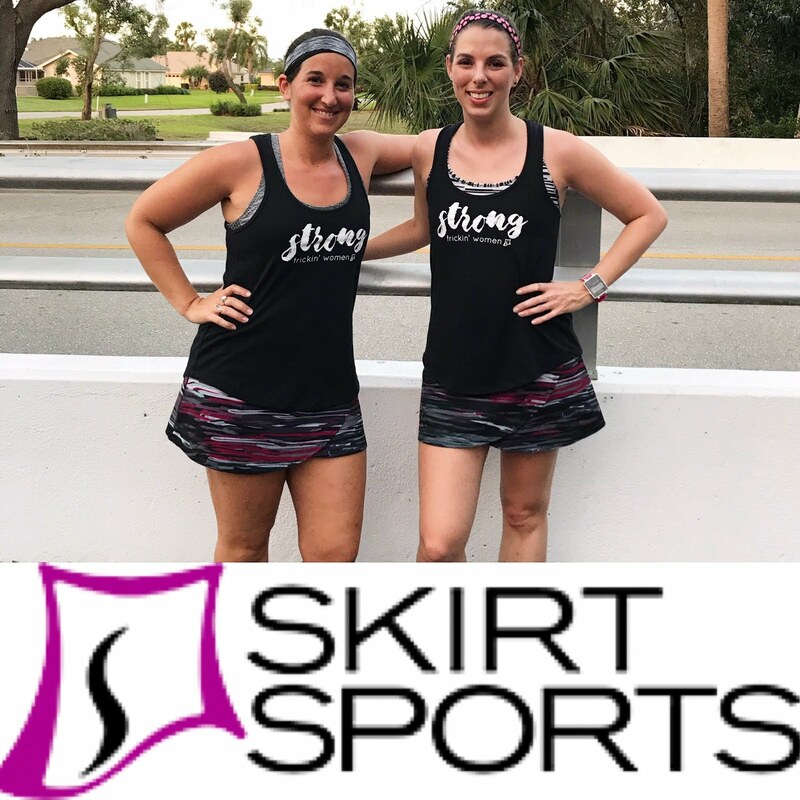 Everything about the experience forced me out of my comfort zone. It's funny, in a way, because Scotland still feels more like a home to me than Florida does at times. Leaving was so much harder than I ever could have imagined, and for months after coming home I felt displaced and out of sorts. I came back...different. Stronger, more independent, and understanding just how much there was to see. I'd only scratched the surface while in Europe. I'll admit, I had a hard time enjoying Stetson after studying elsewhere. It just felt small, and I wasn't the same person I had been when I first enrolled there. Obviously, I can't explain six months of earth-shattering experiences in one blog post...so here's a link to my blog at the time, if you're interested. What is the farthest you've ever traveled? Wow. 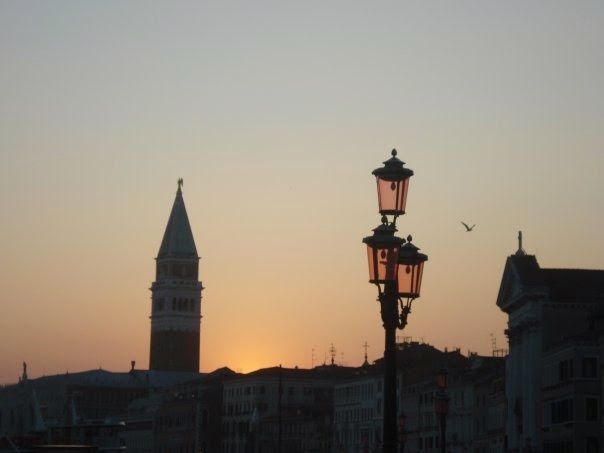 I would love to travel to Europe someday. 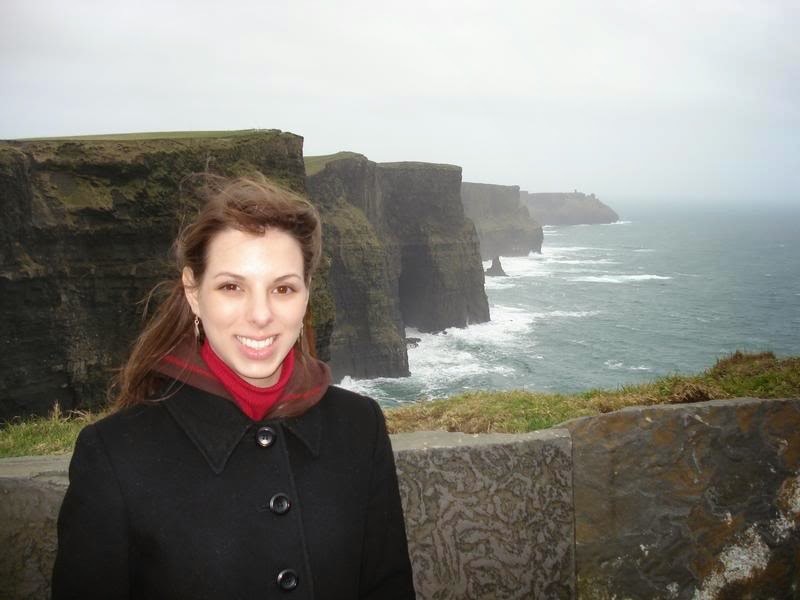 SO COOL that you were able to study abroad and then do tons of traveling over there! The farthest I have traveled is CA and it was definitely my favorite place.Hey.... maybe they need MS English teachers in Scotland... ? You never know! We've definitely considered moving abroad so I could teach! So beautiful! I am so jealous. I truly believe that everyone should spend time traveling, even if it is just for a couple of weeks at a time. Experiencing other cultures and ways of life is essential to us overcoming differences. 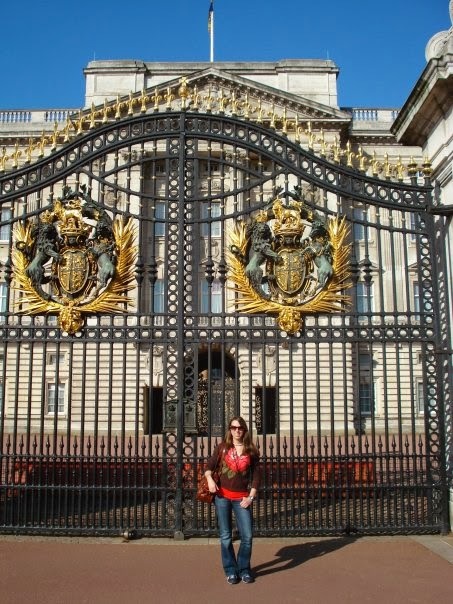 I have been to London and Valencia, Spain. I never wanted to leave Spain. I actually almost cancelled everything I had that summer and stayed three months. Unfortunately, I had big commitments at home that I had to do. Spain was definitely one of my favorite places to visit...The history and architecture there was just amazing. That's so great that you got to study abroad for a semester! I really wanted to, but Adam didn't, and I couldn't imagine being away from him for that long (so sappy, haha). 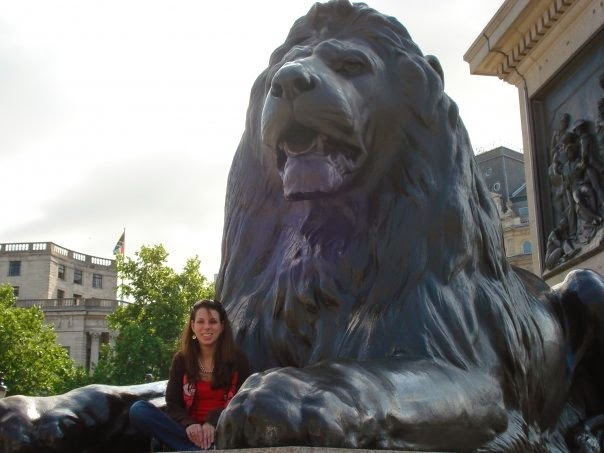 I've never been anywhere in Europe but I am really looking forward to my London trip this fall! Any suggestions for must-see places or things to do? 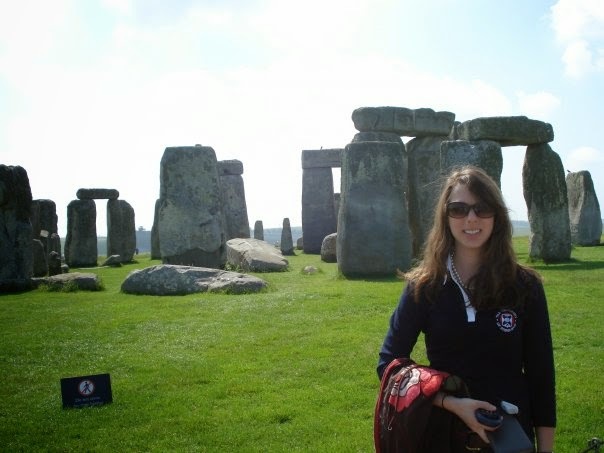 I've already got Stonehenge on my to-do list. Bath, Stonehenge, Kensington Gardens...try to see a play at The Globe theatre. The Tate Galleries are amaaaazing. I LOVE the Tower of London; it's pricey but I've seen it both times I was in London and it's worth it! Ali, I felt the same way after I came home. Truly, one of the best experiences of my life. Plus, I get to call you and Matt my friends for life! Isn't is crazy how, in such a relatively short time, Scotland became home? No matter the distance, I will always consider my friends made there as family! Definitely go when you get a chance...it's truly life-changing!